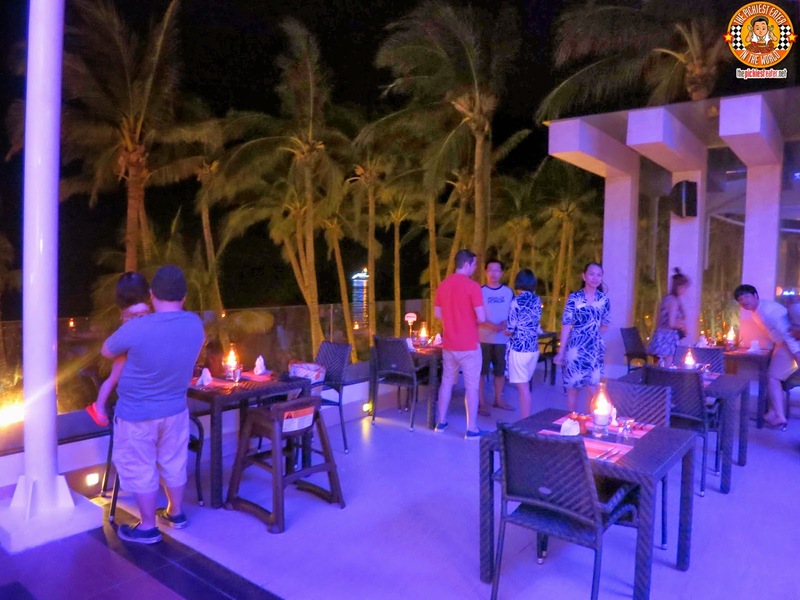 Perched on top of The District Boracay, Star Lounge has made a name for itself as one of the ultimate party spots in an island known for its night life. 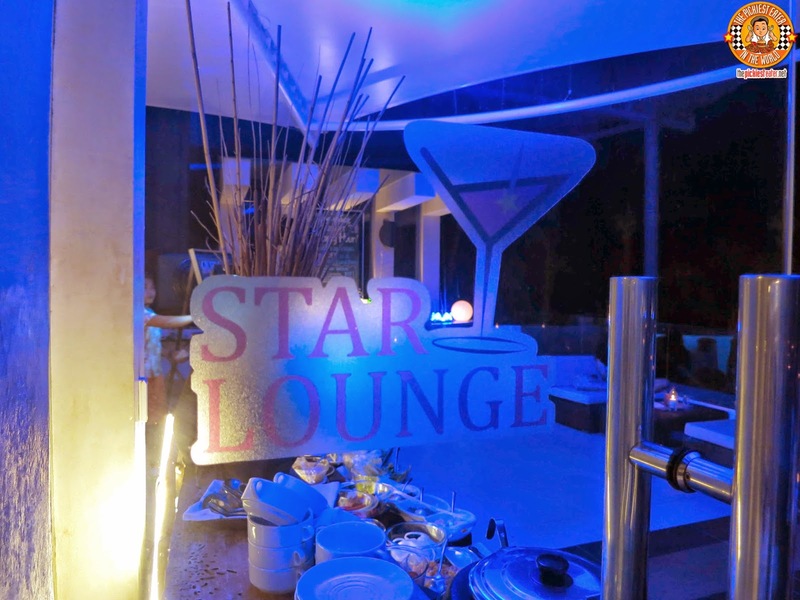 The Star Lounge is so aptly named, because it does give you a stunning glimpse of the Boracay skyline, as it overlooks the bustling Station II- the center of the island''s Night life. 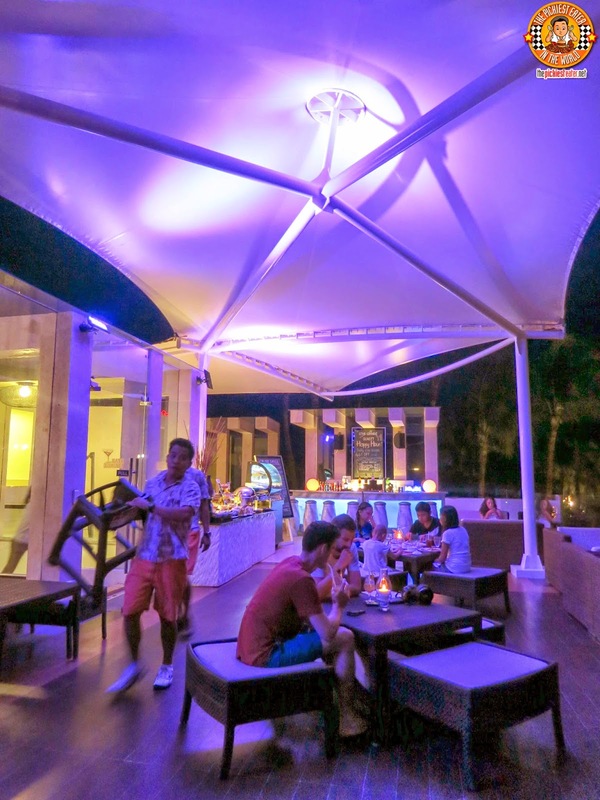 Star Lounge offers its guests a relaxing, laid back place to hang out, while enjoying the light breeze of Boracay over a few drinks and great music. 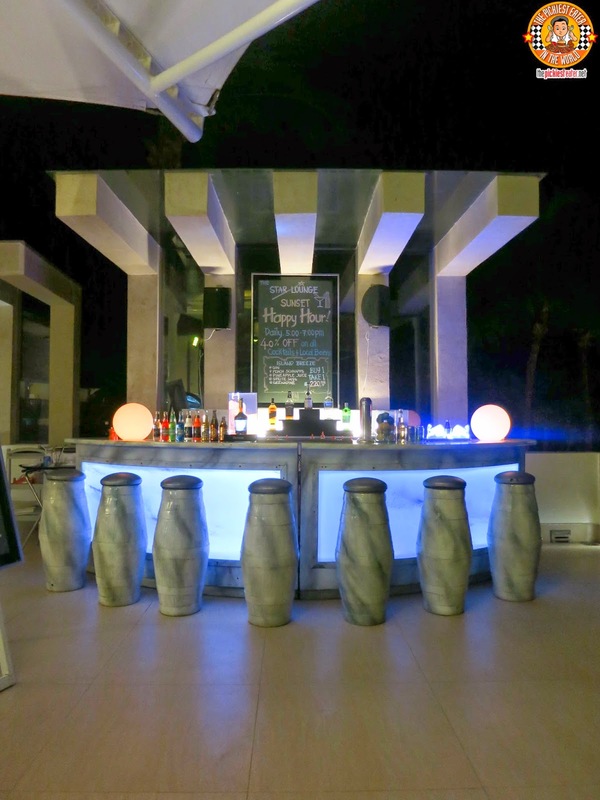 The Star Lounge features a full service bar, with its mixologists ready to make some cocktails using a mixture of some of the islands freshest fruits, and your favorite alcoholic drinks. 5pm to 7pm is considered "Happy Hour", and Star Lounge gives 40% off on cocktails and local beers. 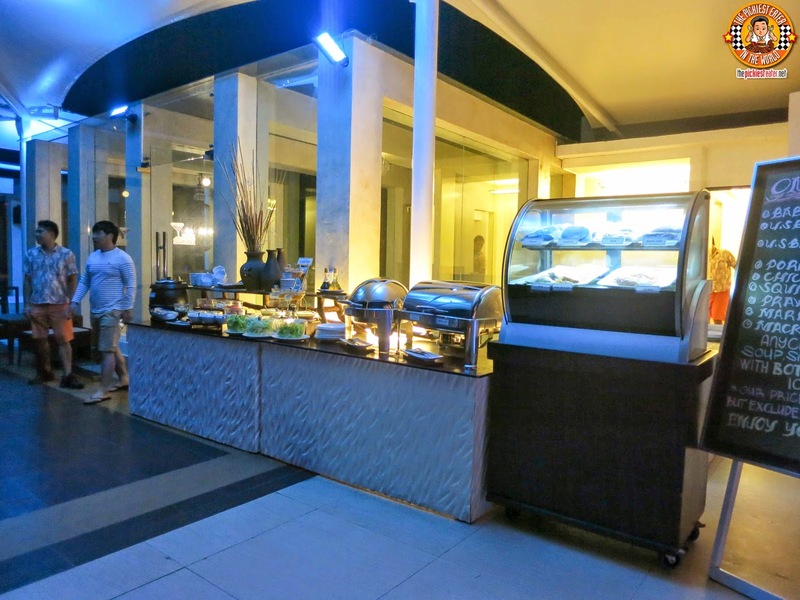 With Executive Chef Rey Dela Cruz at the helm of The District Boracay's kitchen, it is virtually impossible to overlook the dining menu of Star Lounge. 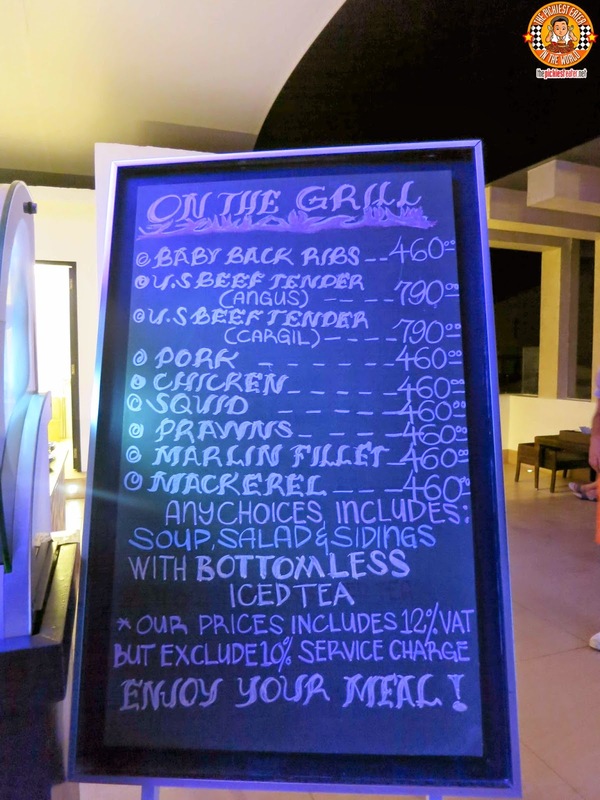 I was already impressed when I saw the grill menu of Star Lounge, which included items such as Baby Back Ribs and US Angus Steaks, as well as beach mandatories, such as squid and prawns. But Chef Rey took the liberty of flexing his culinary muscles by coming up with a menu, specifically for Rina and I. 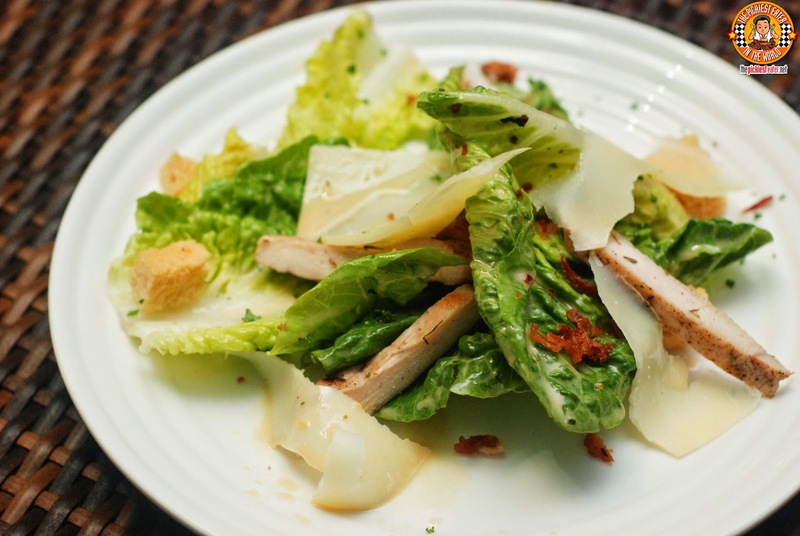 The meal began with Star Lounge's take on the classic Caesar Salad. Rina attacked this with relentless abandon. The lettuce leaves were coated in its tasty salad dressing, whilst bacon bits and roasted chicken strips provided the necessary protein, as well as a touch of smokiness. Cheese shavings also adds to the flavor, while the baked croutons lends a delicious crunch. Chef Rey then brought out one of ihs creations, the Cheese and Spinach Poppers. 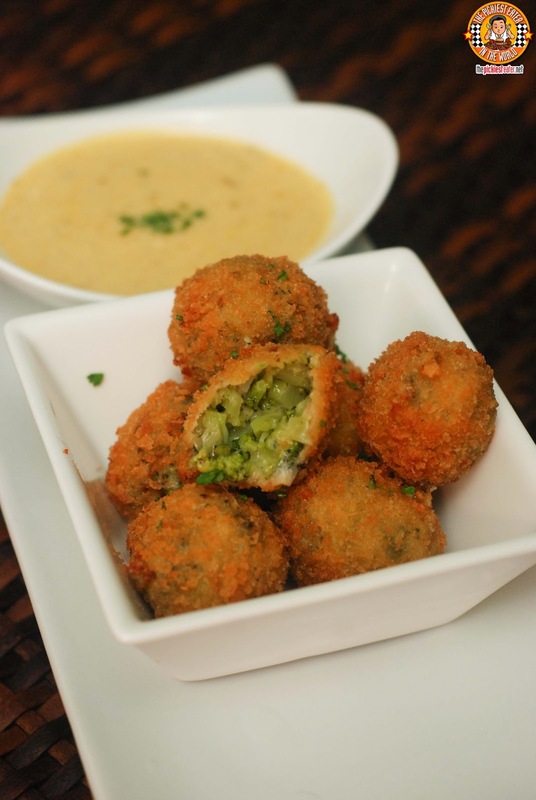 A mixture of finely chopped spinach blended together with gooey mozzarella cheese was beautifully encased into a crunchy breaded ball. The medley of both the mozzarella cheese and the spinach worked wonders in my taste buds, and went perfectly with the creamy garlic mayo dib that it came with. Rina's eyes lit up the moment they brought us the Breaded Shrimps. Rina loves shrimps, but I'm not a fan, so we rarely order it whenever we dine out. She was kind enough to allow me half a piece, as she took the remaining 3 1/2. 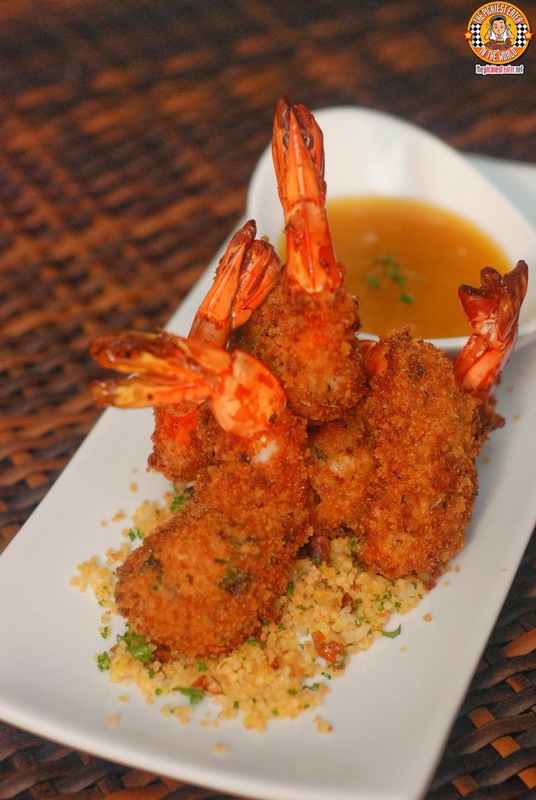 The Shrimps were coated in fine, Panko bread crumbs, before being deep fried to a dark tone. When dipped with the honey mustard sauce, the combination worked wonderfully. 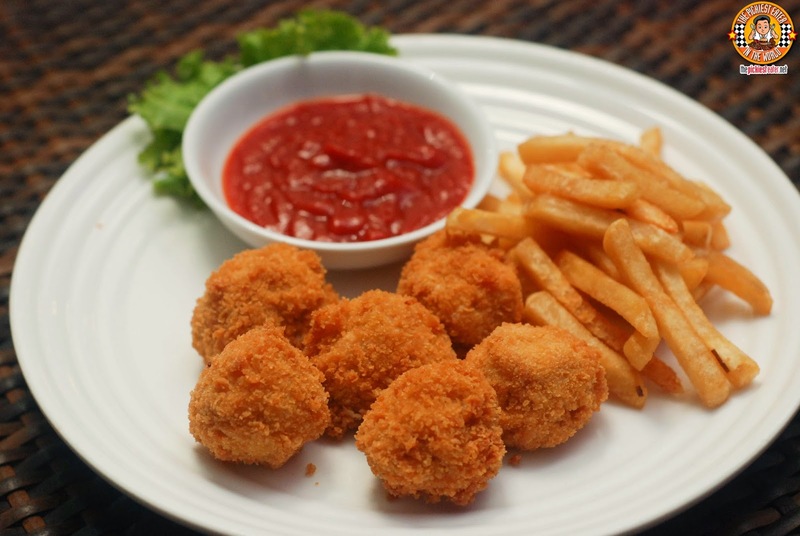 Chef Rey was kind enough to prepare a Kiddie meal in the form of a plate of Chicken Poppers for Baby Rain. Served with a side of crispy french fries, making it more like delicious "Chicken and Chips". The main event for the evening was Chef Rey's Steak - The US Angus Beef Tender. At first glance the meat looked dry, but the drippings on the bottom of the plate quickly dispelled that notion. Slicing the steak was a breeze, with the knife dipping clean through the meat with the greatest of ease. 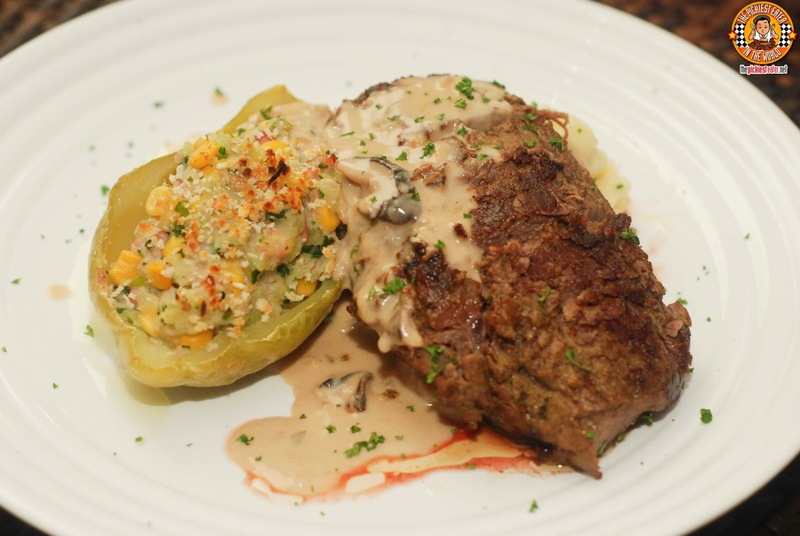 The meat was seasoned perfectly, with nice touches of saltiness enhancing the natural flavor of the beef, and fusing well with the drizzled cream sauce. A revelation to me was the Stuffed Mirliton. 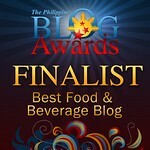 I don't usually eat sayote, but this creation of Chef Rey was a great alternative to mashed potatoes or - dare I say it? Rice. It was diced Mirliton, mixed in with corn and cheese, stuffed into a Sayote skin.. Absolutely heavenly. My only comment was that I personally prefer steak with more fat in it. Otherwise, the flavors were spot on. 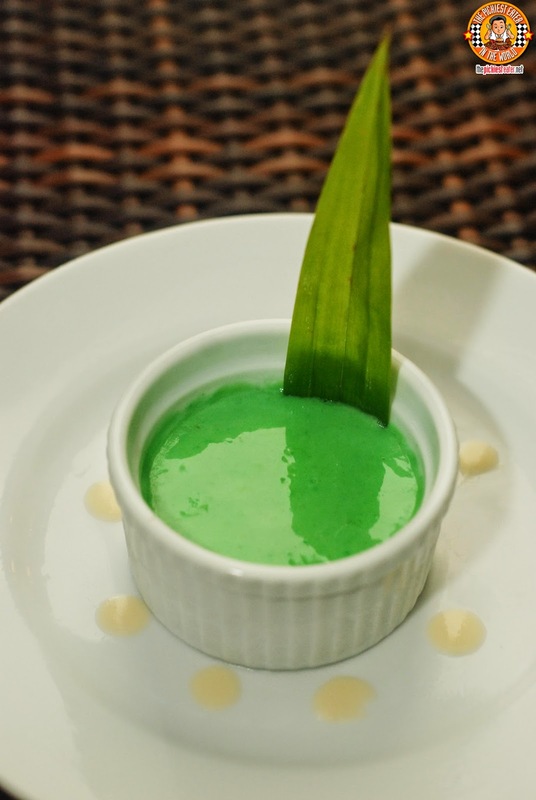 Chef Rey brought out his Buko Pandan as a fitting end to a fantastic meal. It had a balanced sweetness, married to the tasty flavor of Pandan, while staying light enough so you don't feel so bloated afterwards. On the whole, our dinner at Star Lounge was a wonderful "Date Night" for Rina (and Baby Rain) and I. It had the romantic ambiance, complete with an overlooking view of the beach, cool music, and most importantly for me, delicious food! 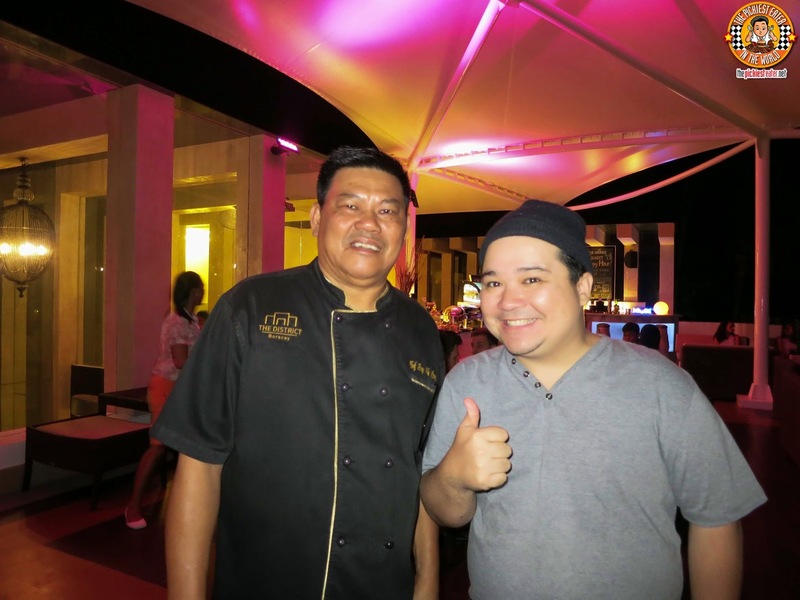 Much thanks to Chef Rey Dela Cruz for a memorable dinner at one of Boracay's most beautiful dining spots.. STAR LOUNGE AND THE DISTRICT BORACAY!